Sakurai proposed hazard warning levels (HWLs) on the basis of the critical strain concept to evaluate the stability of tunnels. When the measured strain values remain smaller than HWL III, the stability of the tunnels is confirmed. The collapses occurred in a number of tunnels existing in Iran have questioned the accuracy of the Sakurai’s criterion in spite of the smaller values of tunnel strains comparing to the HWL III. 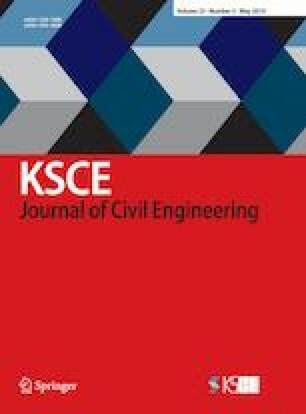 This study renders an account of the HWLs modified on the basis of the results of 162 uniaxial compression strength (UCS) tests conducted on ten types of rocks and soils. To this end, the UCS, critical strain and initial tangent modulus were first determined. Then, the upper and lower bounds of the critical strain were considered in UCS – critical strain and modified tangent modulus – critical strain graphs as the modified HWLs. According to the results, the modified HWLs are more accurate results regarding the tunnel stability conditions.